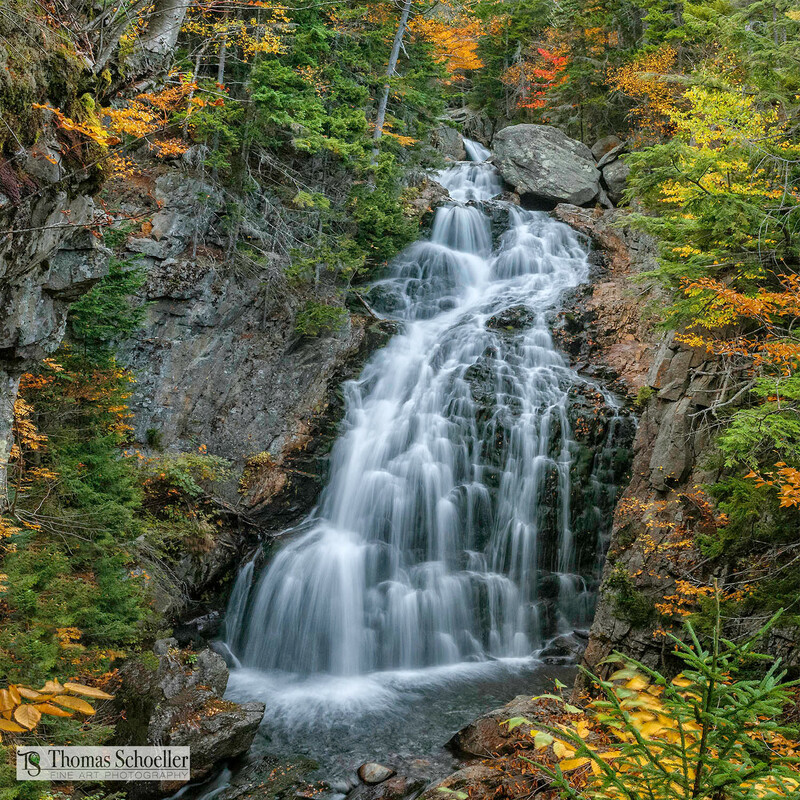 This is a Square Format print of the beautiful Crystal Cascades that tumble with elegance along the Tuckerman Ravine trail on the base of Mt. Washington, NH. Such an amazing natural feature of the White Mountains of New Hampshire yet often overlooked. The trail to the "Tuck" finds most hikers get caught up tackling the task of hiking Mount Washington (el. 6288') and rarely take a break after the initial 0.5-mile short hike from base camp. The falls are quite impressive, dropping a total of slightly over 100' in 2 segments.